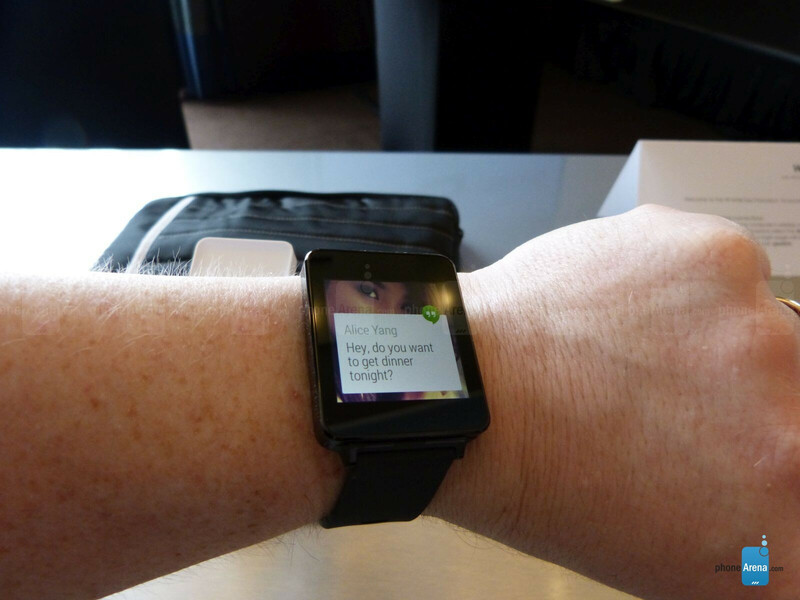 We have known about the LG G Watch for quite a while. It is not LG’s first foray into the wearable segment. There have been a couple such watches in the company’s stable over the past few years. Unlike Samsung’s group of wearables, the G Watch will work with any Android powered device and unlike a lot of devices coming out of Asia, and even LG’s own smartphones, the frame of G Watch is made out of a single block of aluminum. 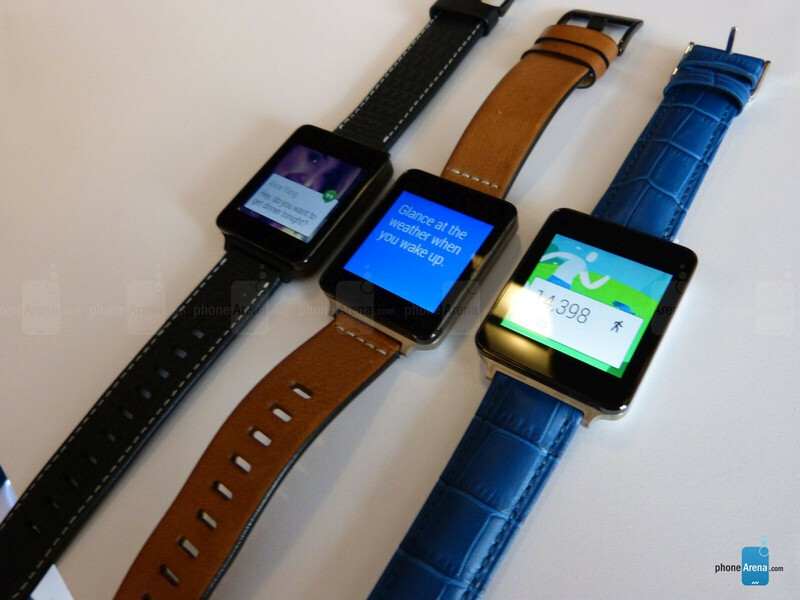 There is a lot to find endearing about the G Watch, it is a nice looking device, even with the super-squareness. The square form factor ensures that there is no wasted space in performing whatever tasks are thrown at it, especially when it comes to viewing and acting on notifications. LG took the opportunity to invite a small group of us to check out some demo units of the G Watch immediately following the Keynote address at Google I/O and wasted no time in talking about its design, build quality, and functionality. The G Watch has an unassuming square design, but it is a handsome enough execution. It feels like any other watch you might have seen. The G Watch will accept any standard 22mm watch strap, so if the included set up does not suit your fashion sense, you will be able to switch things out. 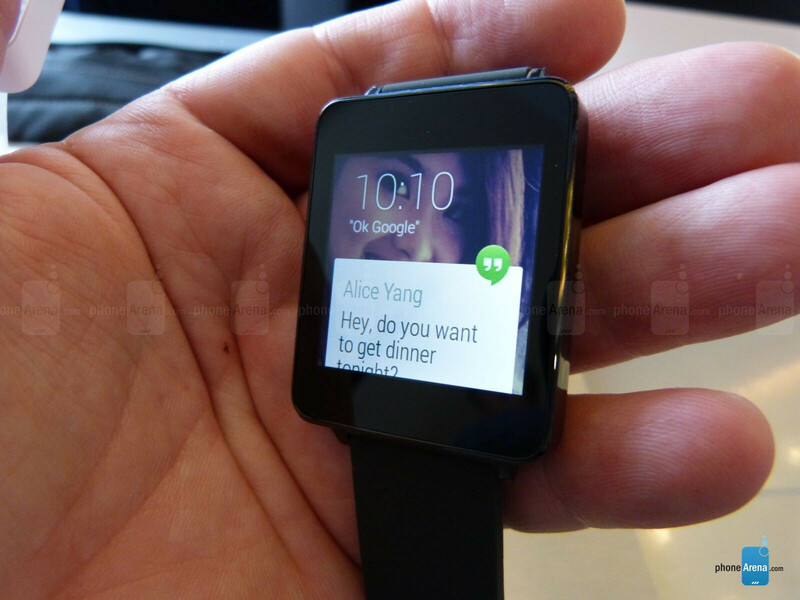 The LG G Watch has a 1.65-inch 280x280 IPS LCD display. One might find that an odd choice, but LG stated it was able to accomplish greater efficiencies with this panel. It is “always on,” but it will dim itself into an “ambient” mode when it senses that it has not been used in a while. The interface is undeniably Android. It features the Google Now card interface, and such an experience suits itself to easy navigation and use. The voice recognition feature had only limited functionality on the display units we were using. The G Watch is packing a quad-core Qualcomm Snapdragon 400 CPU tuned at 1.2GHz, more than adequate to handle the small screen and tasks it carries out. On board is 512MB of RAM and 4GB of storage. Being on the leading edge of devices sporting Android Wear has its advantages, and it looks like LG has a winner on its hands. The units at our tables were in demo mode, but we were also given review units, so check back soon to a full review on the G Watch very soon. In the meantime, if you are already sold on the device, it is available for pre-order on Google Play, beginning today, and it will retail for $229. Sorry but Samsung took the spotlight away from LG again. Gear Live I think is the better deal. don't think android wear is all that convincing. Tizen looking far better for the time being. I love the fact that the new Gear works for all Android phones, but I am more than likely going to get the LG watch with one of those leather bands. "Whats the point of a smart watch? ", "its a gimmick! ", "no one will buy those!" "I already have a smart phone!" shut up....How about you go comment on things you are actually interested in? It would be like if I posted comments on a Justin Bieber you tube video. I don't care about Bieber, so I don't post about him. People need to learn some internet etiquette. Do u know the gear 2 is sold out in most bestbuy stores. And that's the most expensive one.